We believe in baptism and we would love to be part of a baptism service for you or your child! 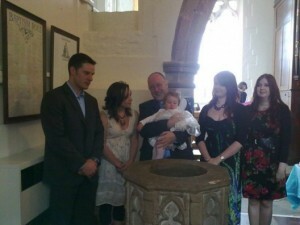 Baptisms normally take place during our normal Sunday morning services and there is no charge. We would love to welcome you and your family. We normally have baptisms on particular Sundays each month at each of our different churches – the first Sunday of each month at St John’s, the third Sunday of the month at St Stephen’s and the fourth Sunday of the month at St Ethelbert’s. Please get in touch with Mike, your vicar, to discuss possible dates. Click on the following links for more information about baptism, symbols used during the baptism service, thanksgiving and confirmation services , choosing godparents and being a godparent. Please get in touch with Mike with any questions or to discuss details. 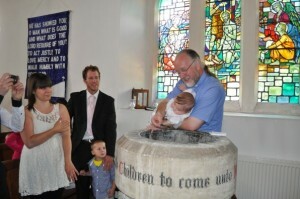 There are also lots of helpful details on the Church of England site dedicated to baptisms (also known as Christenings). 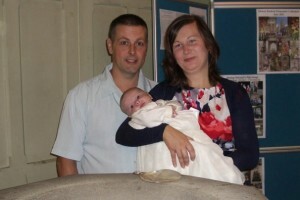 To see more photos of baptisms at our churches, please visit our baptism gallery. If someone in your family was baptised in one of our churches, we’d love to feature them in our Baptism Gallery. You can send us a photo, we’ll add it to our gallery and your friends and family will be able to see it online.